Its up for sale my STUDIO SET. Everything is fairly good condition. crack on one speaker but is not affecting sound, build in effects in mixer stop working - other mixer options working without fault. 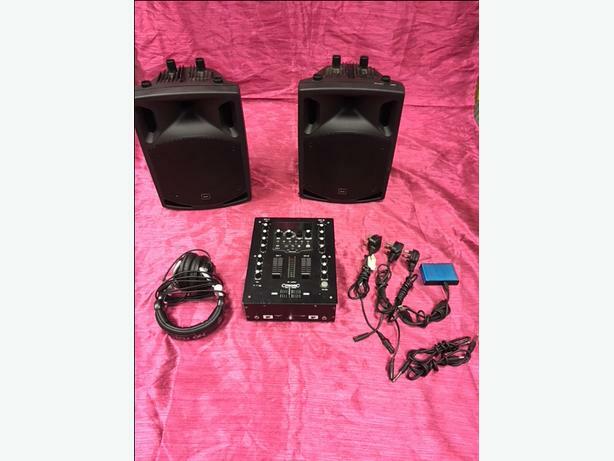 Its more less everything you need to make a small party, home DJ studio.